This piece investigates the unique peculiarities of the Shanghai Cooperation Organization (SCO). Instead of being a Eurasian counterpart to the EU, an additional IO bridge between East and West, or even influenced by organizations like ASEAN, the SCO is dominated by micro-agendas that work in opposition to the theoretical literature explaining international organization purpose. Consequently, this particular IO is not only failing to become a nexus for globalization, democratic respect, or the fight against terror, it really cannot be considered a legitimate IO as is traditionally framed by theory. When promise is found more in the literature than in empirical reality, there is need for caution. This analysis suggests that there is a present-day tendency to be empirically loose in how the designation ‘international organization’ is applied. As such, the SCO is the ‘Pluto’ of IOs and should be renamed and removed as an international organization. Looking at the SCO’s relative power sources and how influence interacts with institutional design, it will become clear why the organization does not increase international cooperation, economic prosperity, or global security, as is typically expected from major IOs to strive to. Rather, the manner in which all three of the above goals are undermined by SCO institutional design and internal agendas should call into question whether it should be classified as an IO at all. Renaming it a politically-motivated axis of convenience is less grand but perhaps a more accurate description of its nature and functions. 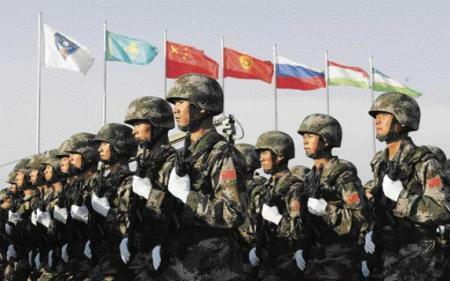 China’s main position within Central Asia is economic, though certain security issues also exist. China is extremely interested in currying favor with Central Asia to help feed its voracious energy appetite. On the other hand issues of ethnic unrest in Xinjiang, China’s western border, make cooperation and mutual understanding with Central Asia strategically advantageous. Thus Central Asia acts as a dual purpose economic-security bridge for China: a bulwark against Uighur and pan-Turkic nationalism/separatism and an energy hub for importing oil and gas. Russia has always viewed Central Asia as its own backyard and particular sphere of influence. Thus, the SCO has largely been seen as a soft entry for Russia to maintain and project its military influence into the region. While Central Asia may represent a buffer zone for China’s western flank, it also represents a buffer zone for Russia’s southern flank, in particular against Islamist extremist threats that may look to move into Russia from the region. There is also a clear competitive dynamic with China that has the SCO as the peaceful arena in which Russia tries to keep a warning embrace around it. Some have seen this as a voluntary division of leadership within the SCO: China maintaining economic oversight while Russia assumes the position of primacy in security matters. Despite these explicit leadership roles, Moscow remains the weaker of the two ‘superpowers’ in comparison to Beijing. It cannot, regardless of propaganda or posturing, oppose China’s emergent economic influence in the region and as such it has largely embraced the SCO not so much because of a strong belief in the relevance of the organization but rather as an easier conduit with which to maintain Moscow-friendly regimes across Central Asia and a decent mechanism to try to keep China from sprinting too far ahead. Perhaps the most unique ability of the Central Asian members is to simultaneously bargain and balance across multiple fronts. Indeed, the Central Asian states have always been acutely aware of their precarious position in between two major powers while a third distant American power commonly initiates contact because of its own crucial security agenda within the region. The SCO, therefore, has always been a tool for Kazakhstan, Kyrgyzstan, Uzbekistan, and Tajikistan to attempt to balance China and Russia off of each other and carving out maneuverability space. At the same time, the Stans have not hesitated to engage with the European Union and the United States, striving to expand their options and minimize the possibility of being overwhelmed by the local superpowers. While it is true that Central Asia is largely more sympathetic to Chinese leadership over Russian, it is also true that no major power has single-handedly been able to satisfy all of the diverse needs of the Central Asian states. The multidirectional policy of bargaining and balancing best serves the interests of the Central Asian states and as such it will likely continue long into the future. After all, the primary economic and security concerns within Central Asia are not unimportant to Russia, China, as well as the United States. These concerns include: Islamic radicalization; proliferation of weapons of mass destruction; narcotics trafficking; lagging economic development and investment climates; and pervasive poverty. The obvious criticism is that none of these concerns have been alleviated with the Central Asian states’ involvement in the SCO, despite a decade of existence. The one characteristic that seemed to be an axiom for the SCO – maintaining the political status quo – cannot be considered a given, what with the non-response to civil unrest in Kyrgyzstan in 2010. The possibility that this lack of response to assist could signal a benevolent ignorance on the part of the SCO, tacitly endorsing potential democratization, falls flat: all of the members of the SCO unanimously voiced their concerns and disapproval over the events in Kyrgyzstan. As a result, it marked an IO ‘double whammy’ of hypocrisy: the SCO physically did not come to the aid of a member but then still verbally denounced democratic change. So far, the SCO identifies as an ineffective organization. That lack of efficiency emerges whether analyzing the institutional design of the SCO or reviewing empirical evidence through case study analysis. The SCO seems to be structured in a manner that undermines its own development, as IO evolution is understood by the scholarly community. The member states simultaneously support and undermine the organization via individualized micro-agendas because of their worries about the tricks each might play upon the other. Interestingly, what the literature does not do is question the legitimacy of the SCO. This is one of the main contentions here: membership of the SCO in the IO community should be questioned instead of simply de facto bestowed. Until now, its membership has always been a given. If the SCO seems to affirm only the negative concerns and detrimental aspects of faulty IO formation and development, while providing little to no empirical evidence of the positive impacts and cooperative influence inherent to most of the general IO literature, then how can the SCO continue to be accepted as a formal IO? The answer is it should not be. There is a present-day tendency to be empirically loose in how the designation ‘international organization’ is applied. This is no small matter: lax empiricism inadequately supported by or even ignoring accepted theoretical underpinnings results not only in misdirected scholarship but actually carries the potential to undermine foreign policy analysis as a whole. Perhaps with the SCO as an initial first step, there can be renewed interest and diligence in looking over the world’s IOs and rigorously applying IO theory to empirical reality as a sort of legitimacy litmus test. Is the SCO the world’s only Pluto? The present analysis finds that highly unlikely. Scientific brethren in astronomy can attest: just because a planet has always been called a planet does not mean it should remain so. If Pluto can be re-designated, then it should not be considered too high a controversy to rename IOs that do not measure up to accepted standards. Whether that new name is ‘politically-motivated axis of convenience’ (P-MAC) or some other moniker matters little: the importance is in shoring up the discipline so that empirical reality and intellectual theory inform each other rather than contradict one another and actual analysis becomes more accurate.